Club Penguin Cheats by Mimo777 Club Penguin Cheats by Mimo777: Club Penguin Weekly Field Op Number 24 Cheats! Step 6. Go to the VR Room and up to the back wall! Step 7. Go up to the wall by the phone. Your spy gadget light will turn green. Thanks for posting this Mimo! cool. lol that was to easy. i went to the VR room and saw like 10 penguins in one space. i didnt even need cheats. lol. Mimo! I got the entire Comm set, and when you dance, your Sat Pack becomes a Sattelite, and a key board is revealed and it shows a screen and a tiny sattelite, It looks so cool! (This is for answering what does the Comm Suit does). I know a way to throw snow balls with out going back to the snowball button. U have to press t the throw the snowball somewhere. but u cant click in the text box. Thnx Mimo we all aprecate this. Time: 10:00 in the morning NOT penguin standard time! Aussie time! Arrivals: Champ 50000 Possibly Distrocktiv7 and yankymetro. Champ 5000 DEFINTELY COMING!, Distrocktiv7 Yankymetro Mrtrop penguinpow12 And 10% CD! Hope to see all you guys there!!!!! ITS GONNA ROCK! Gonna sing California girls, im going to be adding! And more…. I work on youtube amd sometimes Help out Club penguin cp! The comm gear was released a few weeks back. Mimo already posted about this. I like the Comm set action, its so cool! Thank you for letting Mimo know! 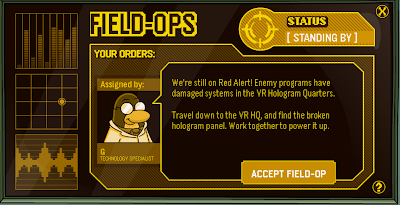 Is it just me or are the Field-Ops getting closer and closer to the HQ? Maybe because you were at that room for along time or theres something rong with the internet of urs. Mimo, this is off subject but I was looking at where the Fire and Water Jitsu are. They are all on one of the "landforms" of CP. When Ice or Snow Jitsu comes out it will probably be on the Tallest Mountain. It's right behind the dojo! check it out! ps i REALLY want to be a cpg mod. That happens to me too, bobby!And thank you maisyosandle, i hope ur right! I know u probably no this but, if everypenguin is the same color, the dance floor will change! it looks soo cool. sorry, just wanted to say. on the middle line there is ALWAYS 7 syllables! Thanks Mimo777! 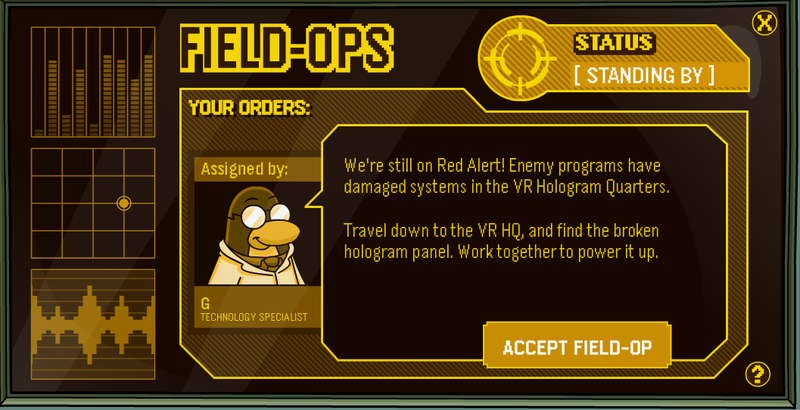 I wish they could make some more games for the Weekly Field Op! I am kinda getting bored of the sam one every week! awesome post mimo. thanks mr! MIMO! Guess what! When you get all card jitsu water clothes, when you dance with them on you make a whirlpool! It's so cool. Hey, Falkirkfan! Sensei does this because he always talks in haiku. What is haiku you ask? It is a three-line poem where the first line has 5 syllables, the second has 7 and the third has 5. This is Field Op 24!? But I just earned my Elite Protector stamp! It says to earn it you have to earn 25 Medals. Did I read something wrong?